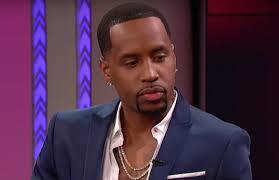 Safaree Is Giving Up…Giving It Up!!! | What's Poppin' Live! Safaree has been less than lucky in love! What’s that expression…the definition of insanity is continuing to do the same thing expecting a different outcome! Well according to Safaree…he’s tired of giving up his eggplant…to women that are not worthy! ← Previous Post Kanye Has His Album Cover!! Next Post → Is The Bambs Preggers?? ?